At least $52 million annually for fiscal years 2006 and 2007 will be provided to the Democratic Republic of the Congo (DRC) under legislation signed December 22 by President Bush. These funds are intended to enhance the United States' and international organizations' efforts to fight political, social and economic challenges facing the African nation. Recent conflicts in the nation have resulted in 4 million dead, 800,000 refugees scattered throughout nine neighboring countries and the collapse of state services. The government of the DRC must be committed to achieving the policy objectives outlined by the United States and other international donors, the act states. The act allows the U.S. secretary of state to withhold assistance if the government of the DRC does not make sufficient progress toward accomplishing these objectives. The act also recommends that the U.S. president appoint a special envoy for Africa's Great Lakes region to help improve stability and security in that region of Africa. The act also will provide funds that could complement current U.S. projects to improve health care, agriculture, democratic institutions and education in the DRC. 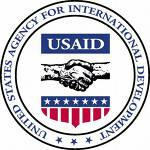 The United States Agency for International Development (USAID) currently provides key health services in the country, including malaria treatments, routine vaccinations and HIV/AIDS prevention and care. It also supports a program to help farmers grow more and better crops, and distributes improved seeds. As part of this program, USAID has assisted 50,000 farmers in growing cassava, a staple crop in the DRC. Leading up to the election, the United States helped establish democratic institutions, new political laws and electoral guidelines and structures. It continues to help the nation maintain its democratic institutions.